Enter the turbo era. 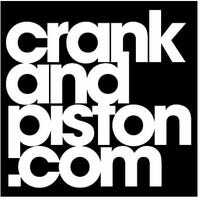 crankandpiston.com takes a spin in Ferrari's first road-going turbocharged model since 1987. Fresh from his first experience of Morgan machinery in January, our deputy editor takes a second shot at quintessential British motoring with the Roadster 3.7. Audi RS7. DRIVEN. Ultimate driver's toy? Our man takes on the Audi RS7 for crankandpiston.com. And is in for a surprise. The first series Elise changed the game for Lotus at a time when its star was in the decline. More than 15 years later, with the Exige S, its lineage can still be found. The speed. Dear Lord, THE SPEED. Fans of fast Beemers may be interested to know that M-Division isn't the only solution as crankandpiston.com tests the Alpina B6. The new V8-powered Ferrari 488 GTB will get its debut at the Geneva Motor Show next month. BMW M4 Convertible vs Lexus RC F. New World Order? Morgan 3 Wheeler. DRIVEN. Tally ho! I hesitate slightly to write this, but my drive in the Morgan 3 Wheeler might just be the most fun I've ever had in a road legal car. I hesitate because this is a hell of a claim. But then everything – and I really do mean EVERYTHING – about the Morgan 3 Wheeler is an adventure. Gymkhana Seven. Gymkhana SEVEN. GYKHANA SEVEN! Since dropping images of the almost illegally awesome Hoonicorn_RTR – complete with 845hp 410 cubic inch Ford V8, all-wheel drive and six-speed Sadev transmission – Ken Block has finally thrown Gymkhana Seven into the interweb. It's been quite a while since I've sworn this much during a test drive. Almost a year in fact. But this is not swearing with vitriolic rage at an incomprehensible SatNav, Bluetooth connection or adaptive cruise control. It's swearing aimed internally. I'm not driving this Ferrari 458 Speciale as I should be.